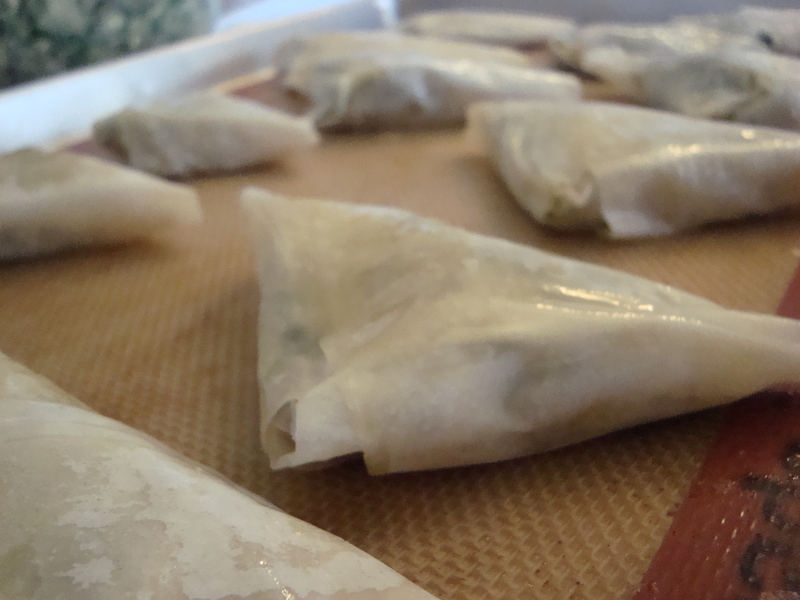 Who makes Baklava on a beautiful, Spring, Thursday afternoon? I guess I do. 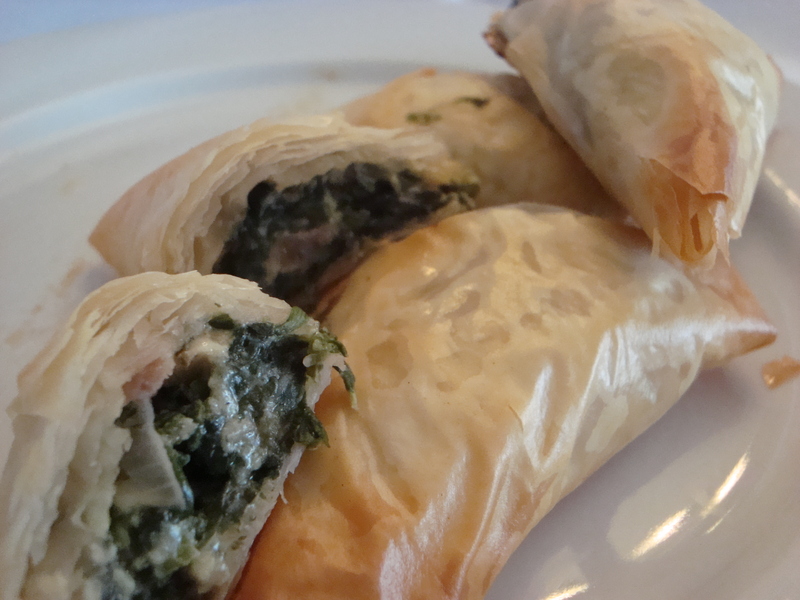 In today’s Cultural Aspects of Food class at the University of Utah we enjoyed a bounty of Fillo- filled Greek delicacies. 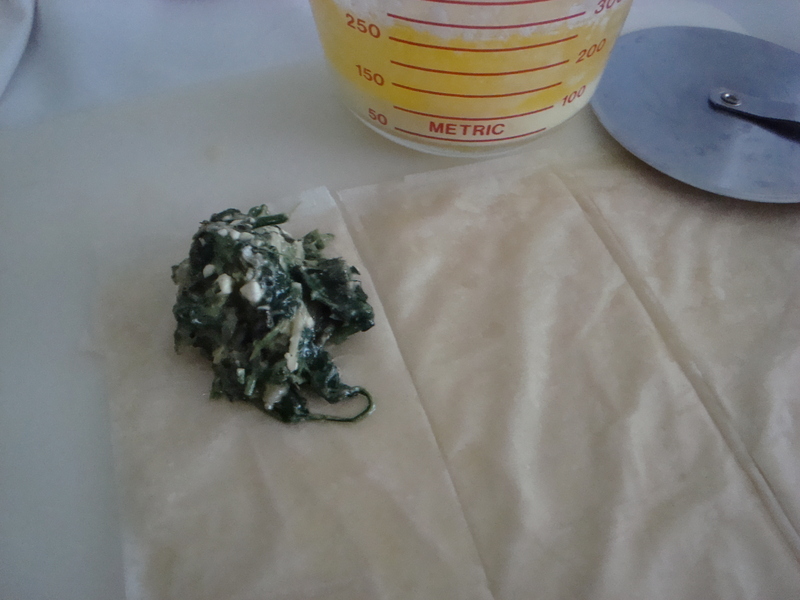 We made Spanakopita http://kolpona.com/2012/03/21/spanakopita-greek-spinach-triangles/ and Baklava and talked about hydrogenated fats, cholesterol and even “pink slime”. We also talked about how we can indulge in a decadent dessert like Baklava every once in a while because it’s rich in Mono and poly unsaturated fats, a high source of protein from the nuts and has less fat and calories than the average chocolate cupcake with a mile high frosting tower. While we talked about nutrition, food chemistry and science there was also the exclamations of “This is SOOOOO GOOOOD”, a lot of “mmmmm” and “ahhhhhs”. That’s what learning should be don’t you think? Amid all the scientific information there should also be the connections of culture, history and stories of people and places. 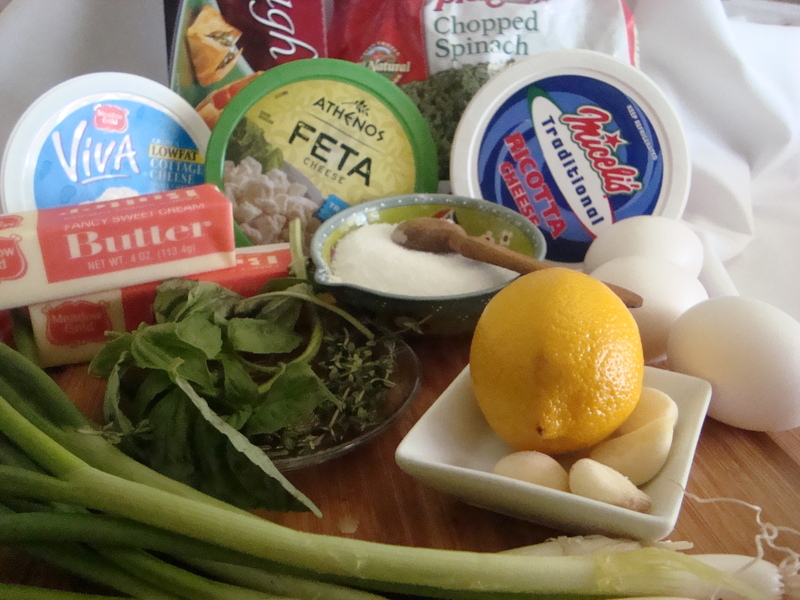 This recipe is from my friend Kathy Paras who is a second generation Greek-American. 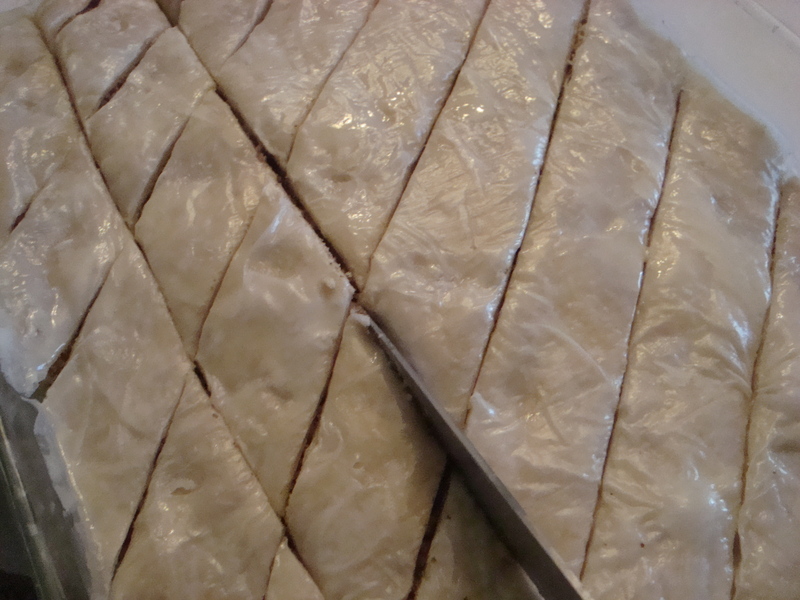 She’s been making this Baklava recipe for years, passed down to her from her mom and aunts. 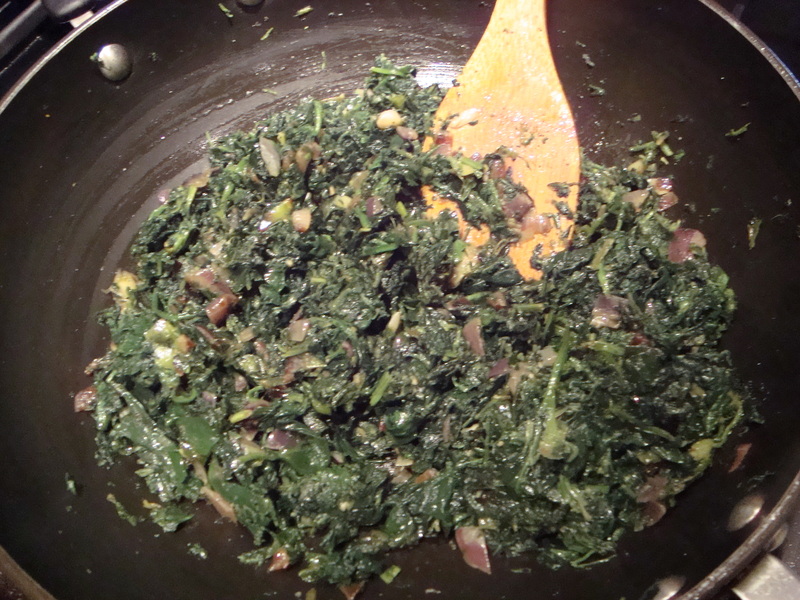 I love recipes like this because it’s been around orally for more than one generation so you know it’s time-tested. 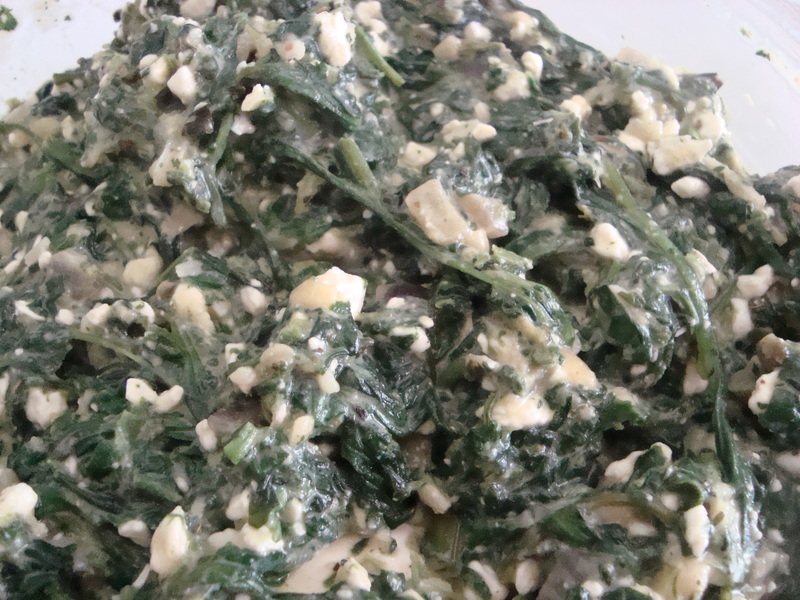 I also love knowing that in the middle of a busy university we talked about science and food while enjoying a dessert that someone’s mom made up in her kitchen in Greece years ago. 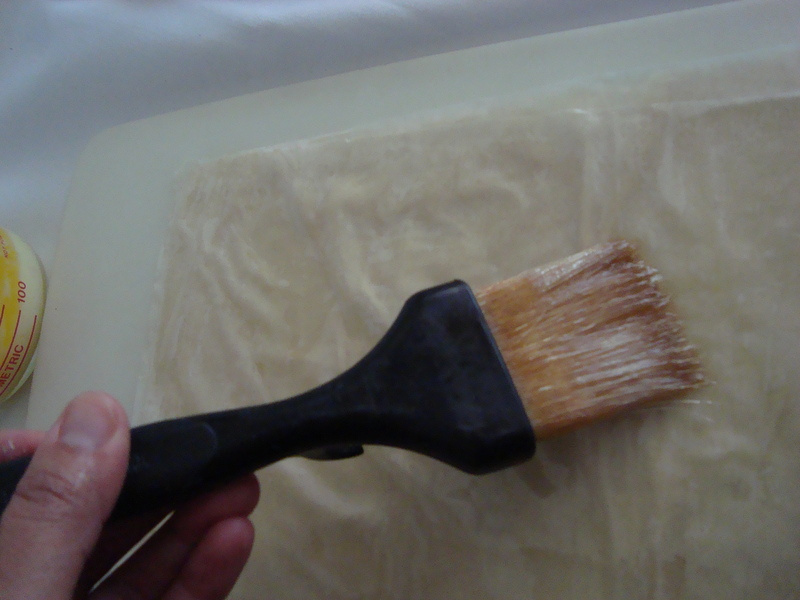 Take out Fillo dough and place it on a cookie sheet and cover with a damp towel, this is very important so the dough does not dry out. 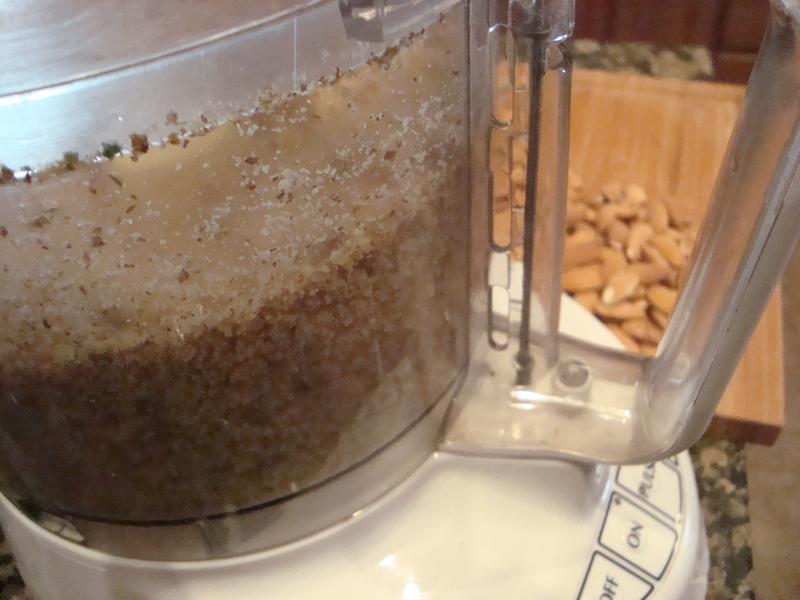 In a food processor coarsely chop the nuts. 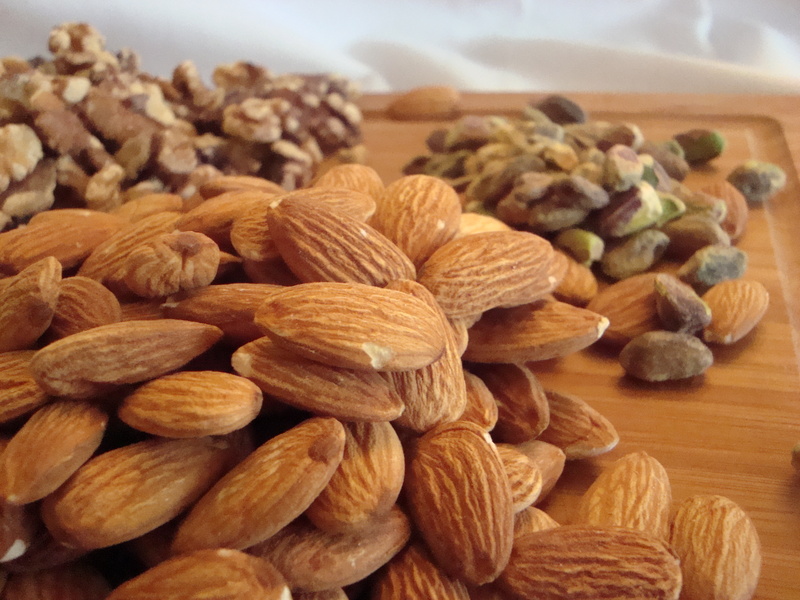 Place the ground nuts in a large mixing bowl and add all the spices (except whole cloves), vanilla extract, sugar and orange zest. Mix well. 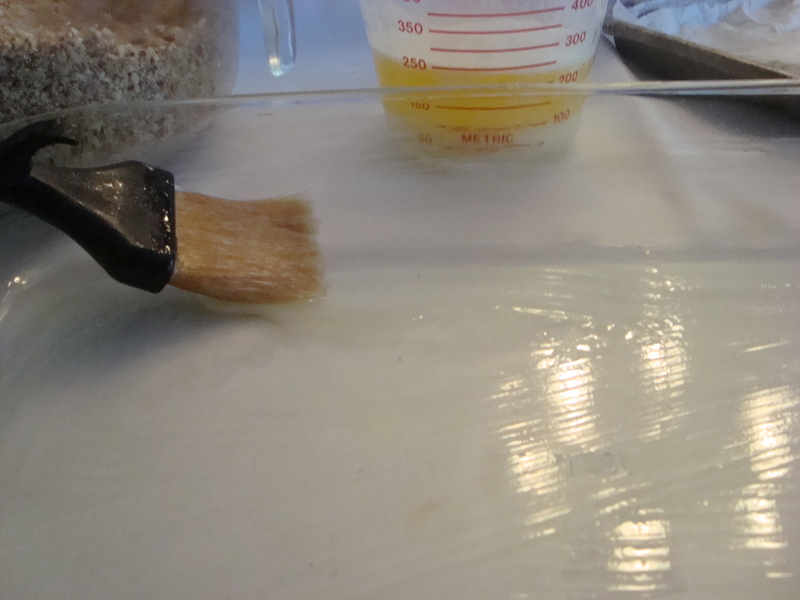 Melt butter in a glass bowl and brush 17 x 2 x 2 (or an approximate sized) dish with melted butter. Make sure to brush the sides as well. 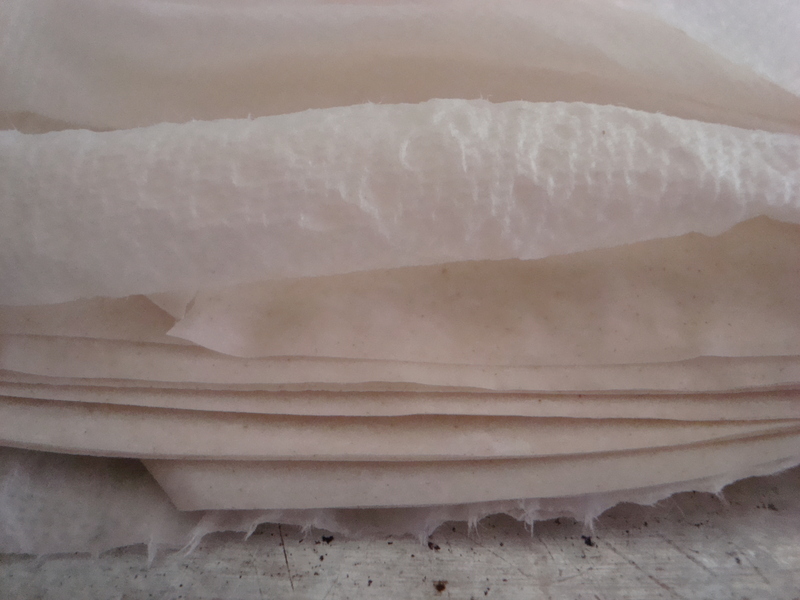 Place a sheet of Fillo on the bottom of the pan and brush it with butter then layer another piece and repeat with 10 layers of Fillo. 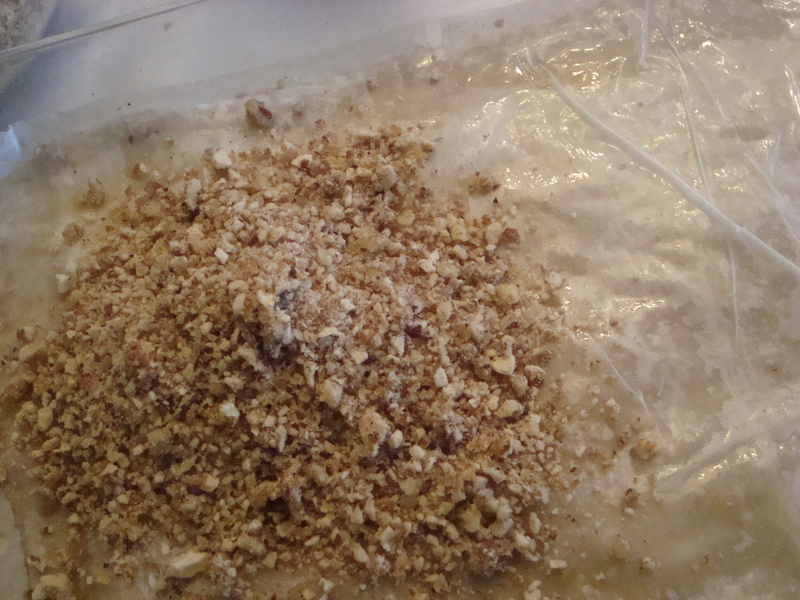 Layer one-third of the nut mixture on the Fillo then layer with 3-4 pieces of dough, buttering each layer. 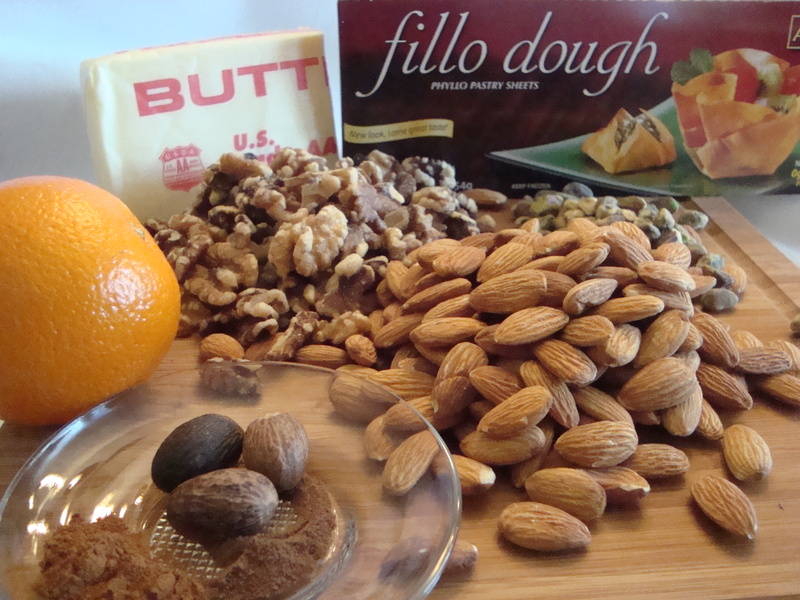 Layer the next third of the nut mixture and repeat with another 3-4 pieces of Fillo. 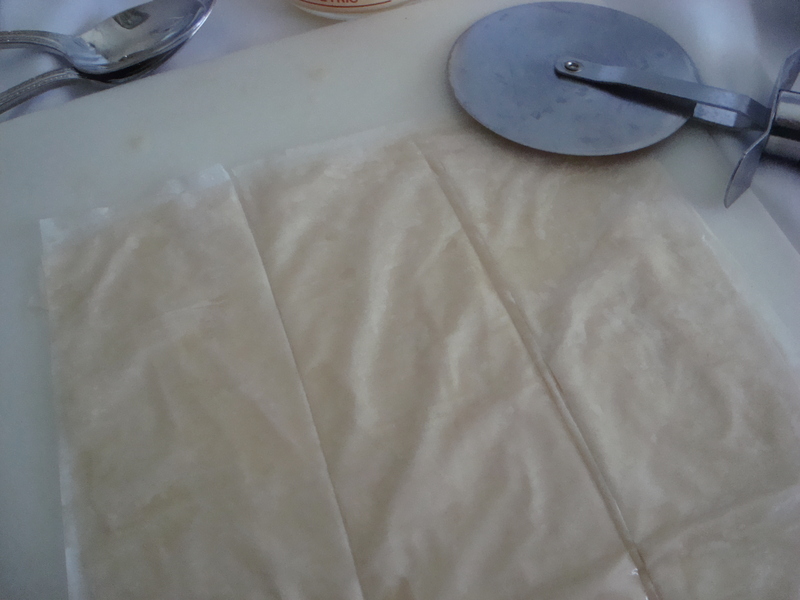 On the very last layer add about 7-9 sheets of Fillo dough (butter each one well). Brush top of the last Fillo dough with butter and cut into diamond shapes. 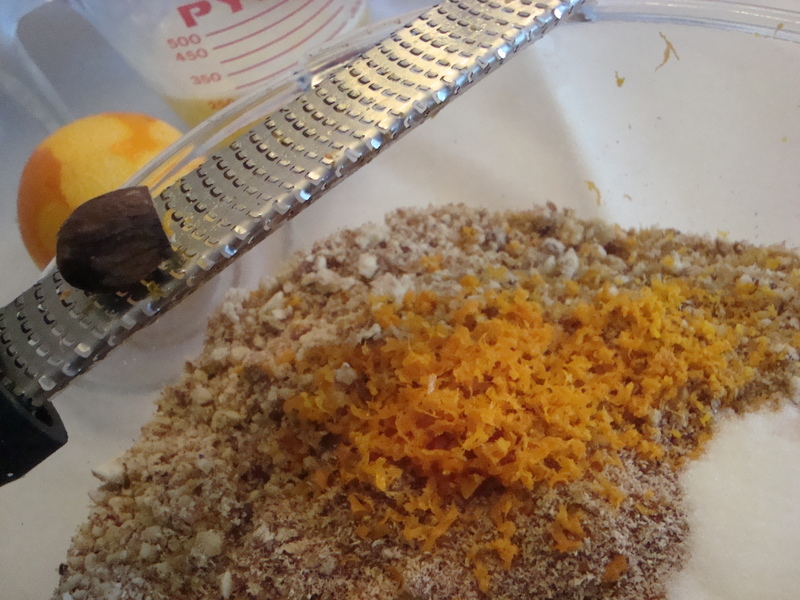 Place a clove bud into the center of each piece. Bake at 350 degrees Fahrenheit for about 1 hour, until golden brown. 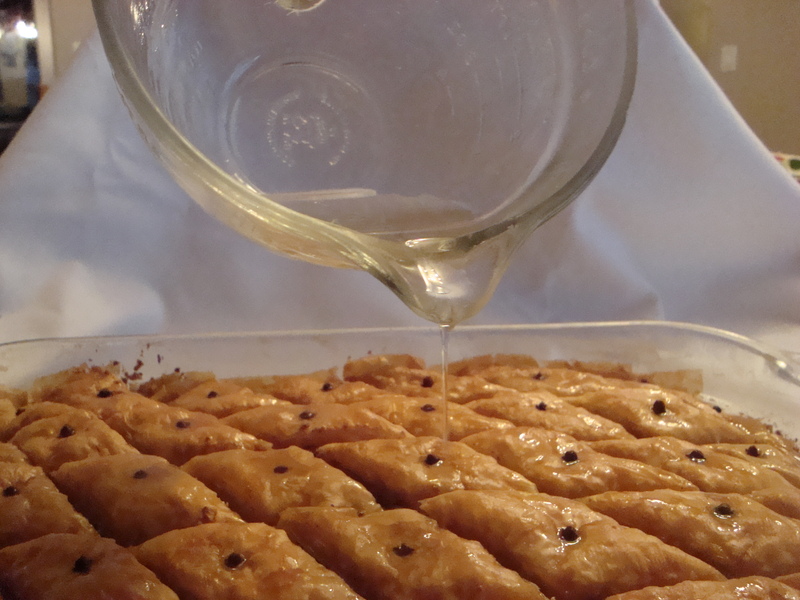 While the Baklava is baking prepare syrup so it has time to cool by the time the Baklava comes out of the oven. 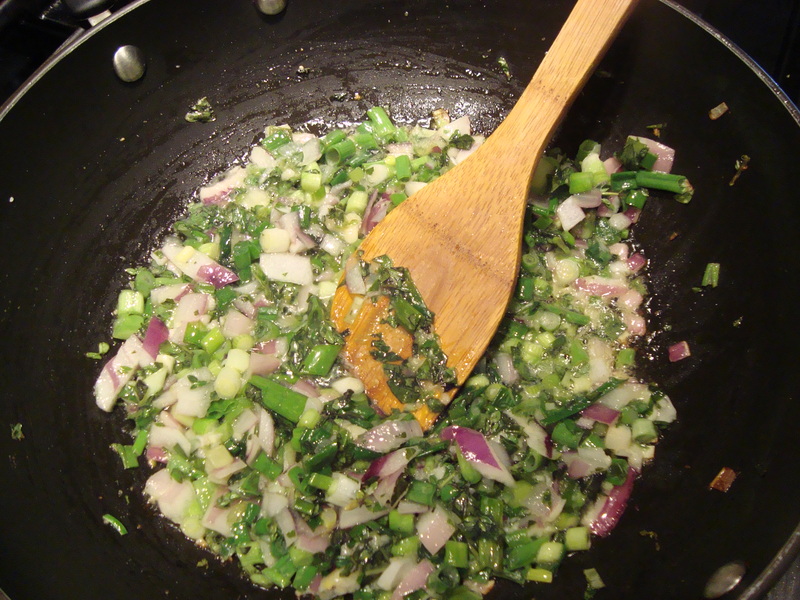 Boil slowly for 15 – 25 minutes then add 1 tablespoon of Lemon Juice (this helps it NOT to form crystals) and 2 tablespoons of honey and let simmer an additional 10-15 minutes. Let cool completely. 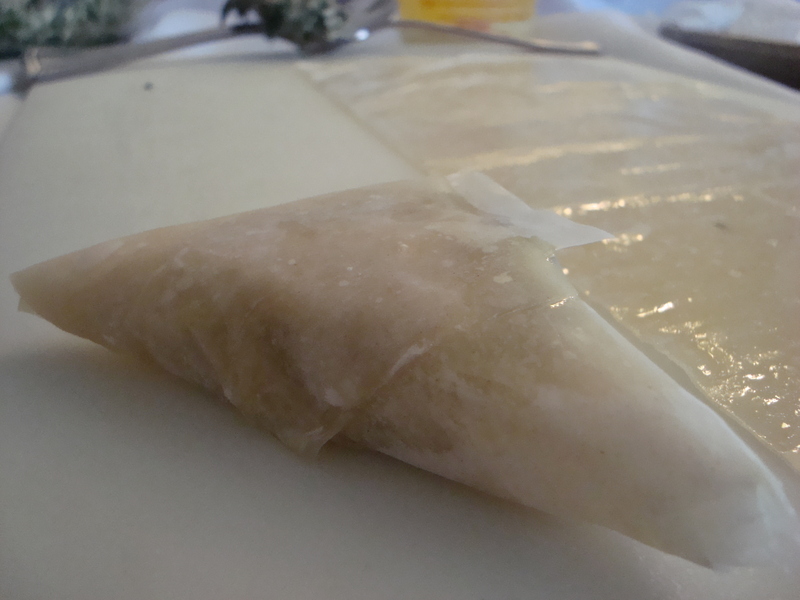 Pour over hot Baklava and cover for 30 minutes with wax paper. 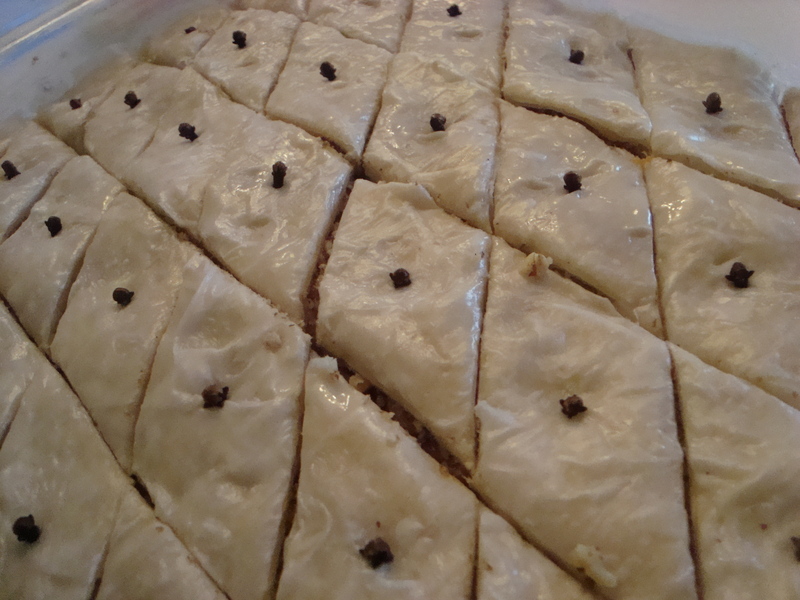 Uncover and let the Baklava set for 7 hours at room temperature before serving. 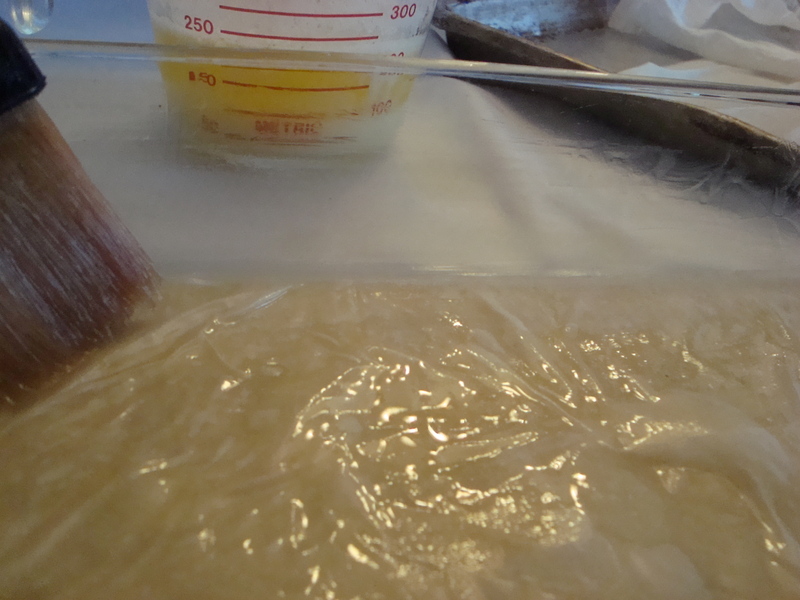 This ensures that all the syrup has soaked in without making the pastry soggy. Serve at room temperature. 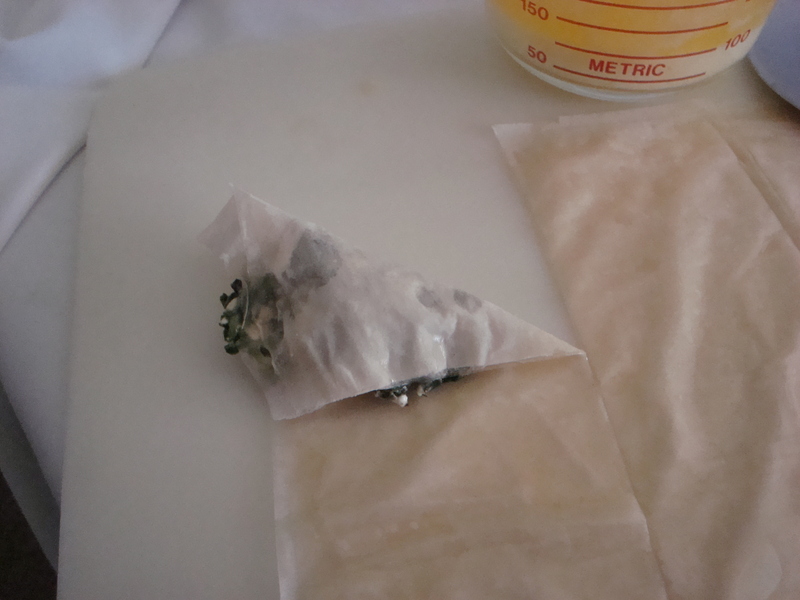 Try not to refrigerate this dish because it affects the texture and taste. 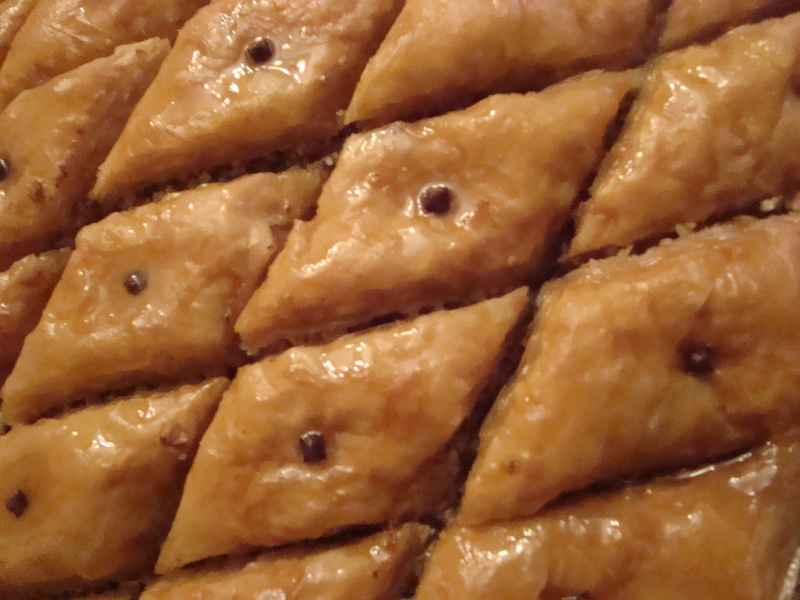 Makes about 36 diamond-shaped Baklavas.